Looking for a fun, hilarious novelty sign to hang on your cubicle or in your “man cave”? If so, SignMission has all the cute, funny, hilarious, and even work-related novelty signs you’re looking for! We’ve got a wide range of American-made signs just like this Don't Touch My Tools Warning sign that will tickle your funny bone, make others smile, or even show off your snarky attitude. SignMission novelty signs are crafted with outdoor-durable plastic and premium vinyl graphics that perfectly highlight the colors and image on the front. And because they’re safe for indoor and outdoor use, you can stick one on your patio, in the living room, or anywhere else you want to get people smiling and laughing along. Click ‘Add to Cart’ to get your Don't Touch My Tools Warning sign today and enjoy a good laugh each time you pass by! 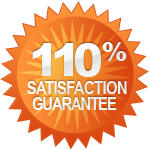 We strive to make sure that all of our customers are satisfied and this is why we offer a 30 day money back guarantee. Buyer is responsible for return shipping. If you have any questions or concerns please feel free to e-mail us using the Ask a Question link at the bottom of the auction page. We try to respond to all e-mail inquiries within 1-2 business days.